Rendering of the new AeroFarms indoor vertical farm and corporate headquarters in Newark, NJ. Image courtesy of AeroFarms/RBH Group. What will reportedly be the world's largest indoor vertical farm will break ground on July 9 along 212 Rome Street in Newark, New Jersey. Earlier this year, leading vertical farm commercial grower AeroFarms, the property management firm RBH Group, and their affiliates jointly announced the conversion of a former steel factory into a spankin' new 69,000 square-foot indoor vertical farm. The first phases of the project are scheduled to open later this year. Located on a three-acre site in the heart of Newark's Ironbound district, the $30 million project will also include AeroFarms' global corporate headquarters. 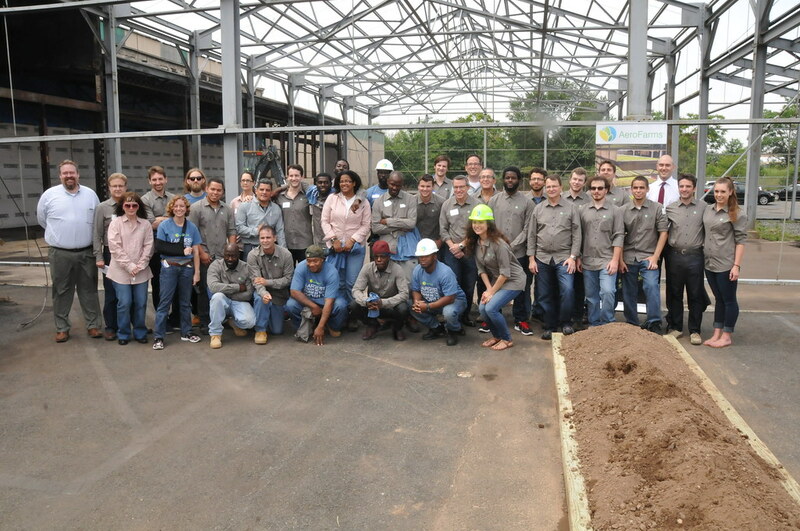 AeroFarms partnered with Ironbound Community Corporation to create a recruiting and job training program to boost job opportunities for the local community, which is dealing with an unemployment rate that is twice the national average. The new vertical farm is said to be capable of growing up to 2 million pounds of baby leafy greens and herbs in a controlled and sanitary facility, once it's built. As a result, AeroFarms claims their new vertical farm will "[offer] 75 times more productivity per square foot annually than a traditional field farm" without the use of pesticides and consuming over 95 percent less water." You can also read more about urban farming on Archinect here. Is vertical farming the future of agriculture? Vertical Farming: Can Urban Agriculture Feed a Hungry World? 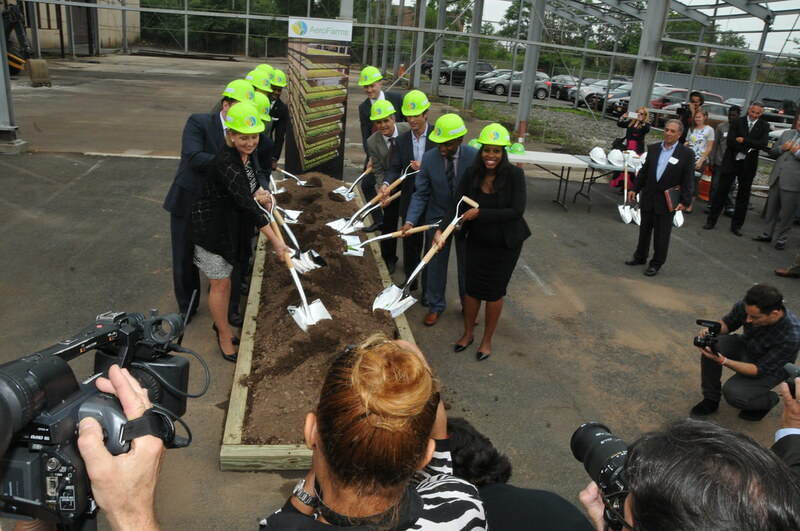 Photos from the groundbreaking ceremony, featuring Newark Mayor Ras J. Baraka and NJ Lieutenant Governor Guadagno Break, are now online here.